This novel is set in the spring and summer of 1394, during a time referred to as the Western Schism of the Catholic Church. During the time of the novel, Clement VII and Boniface IX were claiming to be the true Pope. This is not a period I am much familiar with, but I enjoyed this small dip into Papal and Italian history. 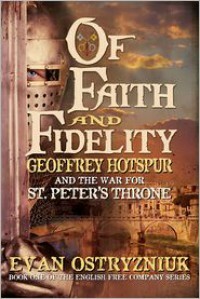 As the author mentions in his notes on the novel, this a period of political strife in the Church, and not a period of conflict over theological interpretations.In some ways, this story of squire Geoffrey Hotspur, reminds me of the starts of the Horatio Hornblower and Richard Sharpe tales, although those take place some 400 years later during the Regency period. We start with Hotspur, who is early in his military career, serving as a squire in the Gaunt household. He is young, impetuous, and just about the lowest man on the career path of significance (knighthood). He is flawed, gambling away the little money he has in rash bets and letting his emotions get the better of him, But during the course of the novel, we start to see Hotspur start to grow and mature, as a man and a soldier.I enjoyed the relationship between Jean and Geoffrey. They meet by "happenstance", and then find themselves on the same ship to Florence. They develop an interesting friendship, where Geoffrey treats Jean more as his squire or valet, than what you would typically think of as friendship. After bouts of betrayal, by the end of the novel, they are still together, and the curious friendship is much the same as it was. It is almost an odd couple type of relationship, and I see much potential for them if they stay together into the next novel.Since the novel focuses on the military campaigns during this period of the Western Schism, it is heavy with descriptions of military movements, arms shielding, and battle maneuvers. The military details made this a slower read for me, but understanding some of the weapons of the time and their usage is important to the novel, not just in depicting the historic battles, but showing their effects on Geoffrey and Jean. If you read military history or historical fiction, you will be familiar with much of it already.I enjoyed this read, and will be looking forward to seeing what Lady Fortuna has in store for Geoffrey Hotspur in the next novel. 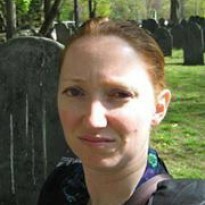 I recieved a copy from the publisher for an honest review.